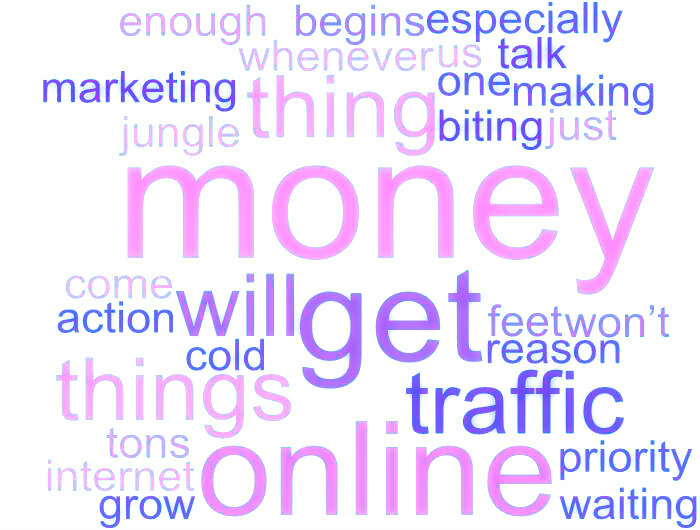 Most of us grow cold feet and have frozen fingers whenever the bug to get online and make money begins biting. One thing is for sure – it is not easy to start an online business especially if you are not so familiar with the jungle that is the internet. But surely, is this reason enough not to try? I’ll tell you this: the best way to start internet marketing is to start. Without action, any ideas you might have for making tons of cash will just be that, ideas. I do not want to make matters more complicated than they already are for you. Let us talk ordinary; things you can immediately get your fingers on. Create a project: There are a million and one websites out there offering different products and services. Your first priority should be to create a project, come up with an idea that will get the attention of someone needing a services or product. Waiting for a pie to drop out of the sky simply won’t do, and having a brilliant idea without the ability to execute it is nothing. People dream brilliant ideas all the time while whining about lack of resources. Get off such a leaking boat and start swimming. Learn the trends: It is impossible to successfully make money online if you are oblivious of the trends and patterns in your chosen niche. Following a beaten trail can help some, but only up to a limit. The rest is your funeral if you are not sharp. Forget about dreaming of building heavy traffic. Well, traffic is important because it is the visitors to your site who you will convert into sales. But the most important thing you need to keep an eye on is the impact your site is having i.e. is it growing or slowing down. And if so, what are you supposed to do? Like and love your project: How much are you in love with your project? Do you feel the thrills for it or is it simply a dull idea for making money. To be successful online, you must have enthusiasm for what you do. If you do not love it but only think it is a way of minting money then chances are it is a big flop. Enthusiasm for what you are doing will ensure you always keep a tab on what is cooking. Build a community: Your product or service will go no where if you do not build a community of loyal followers around it. There must be people using and vouching for your product. You should there for strive to cultivate and maintain the interest and enthusiasm of such a following. Actually, there are a million things running in your mind when you ask yourself how to start my own business online and succeed at that. You can probably get off to a good start by using some Market Samurai discounts and other such tools that can give you an edge over your competition. Alisia Goodwin is a freelance blogger and loves to write on a variety of subjects ranging from SEO, online marketing, home improvement ideas to small business startup tips, health and finance.